Corbis-5 is marketed globally by Unichem and is available at every leading online pharmacy, drugstore and medical supply store.The active ingredient present in Corbis-5 is Bisoprolol Fumarate. 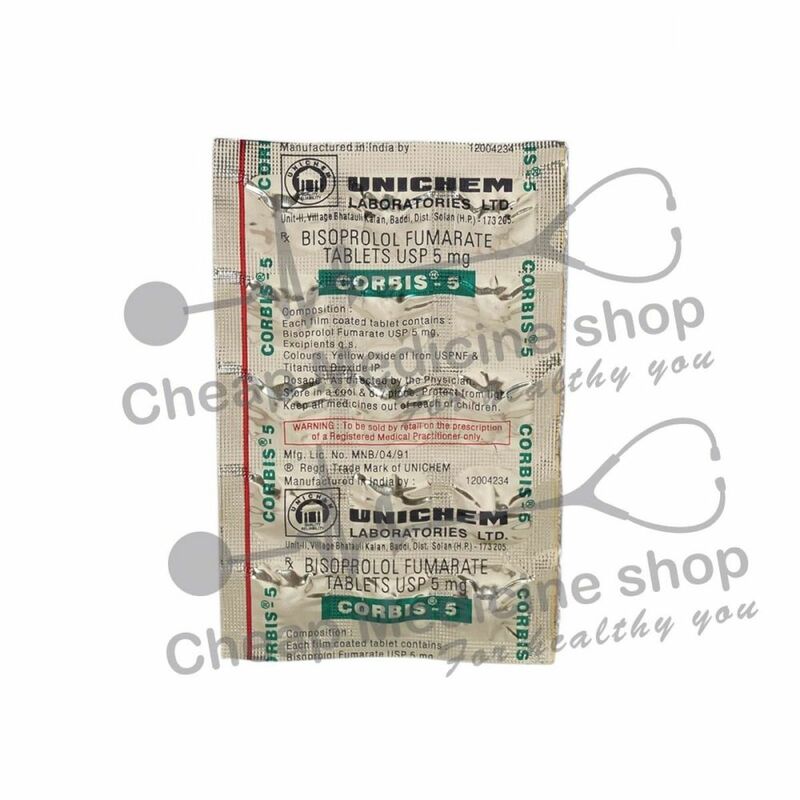 Corbis-5, that contains 5 mg of Bisoprolol Fumarate is manufactured by Unichem Laboratories. Corbis-5 contains 5 mg of Bisoprolol Fumarate. It may be given to you for other reasons. More information will be given to you by your physician. It is a selective inhibitor of beta1-adrenergic receptors; competitively blocks beta1-receptors, with little or no effect on beta2-receptors at doses ≤20 mg.
Keep taking this drug as you have been told by your doctor or another health care provider, even if you feel well. 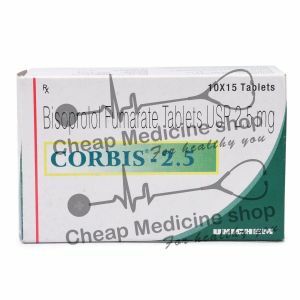 Bisoprolol, the active salt in Corbis-5 is available as 5 mg and 10 mg tablets at every leading online pharmacy, drugstore and medical supply store. If you have an allergy to bisoprolol or any other ingredients of this drug. If you are allergic to any drugs, foods items, or other substances. Tell your doctor about the allergy and what signs you displayed, like rash; hives; itching; shortness of breath; wheezing; cough; swelling of face, lips, tongue, or throat; or any other signs. If you have any of these health problems: heart failure (a weak heart), a heartbeat that is not normal, or a very slow heartbeat. Shortness of breath, abnormal weight gain, swelling in the arms or legs. Have your blood work checked? Talk to your doctor. Talk to your doctor before you drink alcohol. Female-Tell your doctor if you are pregnant or plan on getting pregnant. You will need to talk about the benefits and risks of using this drug while you are pregnant. Female-Tell your doctor if you are breastfeeding. You will need to talk about any risks to your baby.